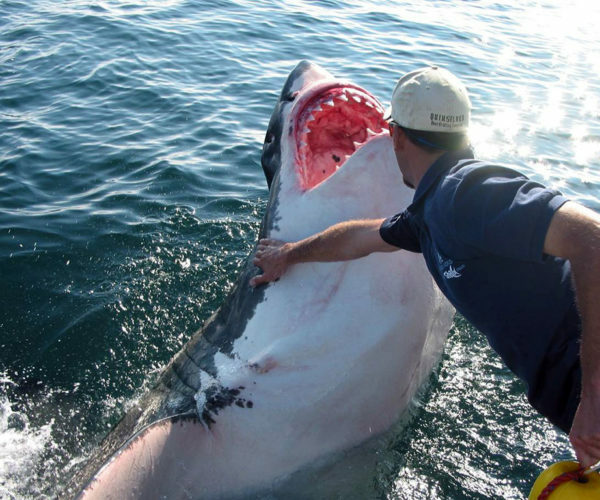 Come face to face with a Great White shark in an unforgettable, adrenaline-pumping adventure of a lifetime. Gansbaai is a small fishing town about 2 hours’ drive from Cape Town, and is home to this gracious torpedo of the deep. You get the chance to go into the water inside a cage from where you can watch the antics of the sharks from up close and personal. We’ll pick you up early at your accommodation in Cape Town. After breakfast, an overview of the day and safety briefing, we will launch from Gansbaai Harbour. At Shark Alley, we’ll drop anchor and start interacting with these awesome beings. You will also see seals, birds and whales when in season. On return to Gansbaai harbour, we’ll enjoy a light lunch and view the DVD of the day. Cage divers will receive their certificates and then it’s back home to Cape Town.